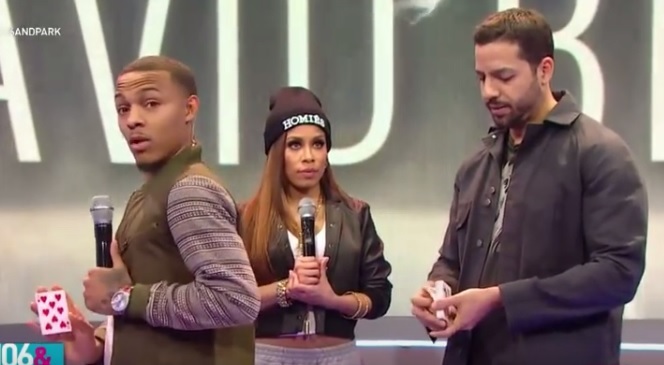 David Blaine performs a great trick out of Mnemonica (page 45) to amaze the hosts of 106 & Park! I spent some time learning it this morning and will be adding it to my repertoire. It's a nice effect! I had to make my own version and adjustments in Dutch.. Didn't performed it yet. David Blaine knows the commercial effects... Direct as the man himself. Is it just me or she really doesn't know how to spell "eight" .